I will preface this article by saying that we’re not experts on contracts yet, having only been through a few of them, but we’re getting better at them! When you’re a game designer you have to wear 3 hats. The first hat is that of the designer. This is probably where you’re the most comfortable. The second hat is that of the salesperson. You have to pitch your game to the publishers and that takes skill. The third hat is that of the business person. You can’t confuse which hat you need to wear at each step as that could have negative consequences. The biggest challenge here is to try and NOT wear the designer hat when you’re negotiating contracts. It’s time to wear the business hat and keep other aspects – like your ego and the pride of seeing your game published – out of your mind until the contract phase is complete. There might be two phases to contracts. The first stage could be a contract with intent to publish and the second stage is actually publishing. Both stages will be represented by the same contract though. A publisher might like your game but they want some time with their team to run it through multiple playtests to ensure it meets their standards. Our first contract gave the publisher 6 months of development time. If they could get the game to where they wanted it, then they’d publish it. This is also known as an exclusivity contract as it’s expected that you will not continue shopping your game to other publishers. Once they’re done with their developing and they’re happy with it, then the full contract kicks in. If the publisher does want to go this route then ensure that the timeline is clearly specified. It should have a specific date as to when the rights revert back to you if they can’t develop it to their liking. Regardless if it has a development aspect to it, the first thing that will happen is you’ll get an offer. 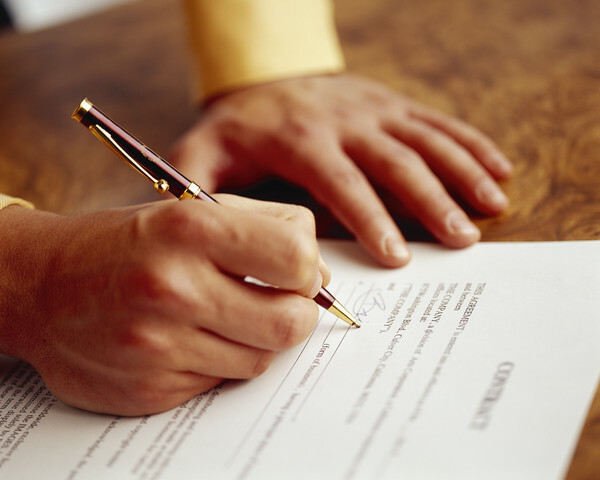 If it’s verbal or even in an informal email, then ask for a formal contract before agreeing fully to anything. It’s cool to go back and forth in the informal negotiation stage, but progress on the development of the game should not commence until you’ve got a contract. So what are we negotiating really? Well this part can be tricky. Why? Because as designers we often undervalue our own worth and are just so darned excited that a publisher wants to publish our game that we sometimes breeze through the contract phase a little too quickly. We have to remember that we are partners with the publisher and we’re bringing half of the equation to the table. Sure the publisher is taking all the risk financially but that doesn’t mean they can rake you over the coals either. Keep that business hat on at all times during this stage! In the next two posts we’ll take a closer look at the various things you should look for when negotiating a contract with a publisher. The offer is a major high point in the life cycle of a published game. It’s when the publisher officially voices their intent to publish the game. Some games, as Jay stated, warrant further development as the publisher may be trying to fit it to a different theme, market, or even to a license they have access to. Some games are just a bit rough around the edges and the publisher wants some time to polish it up before they commit to anything in full. During this time, it behooves you as the designer who will have his or her name on the box (make sure to ask for that in your contract, by the way! ), to work closely with the publisher and the development team to ensure that everything goes smoothly – we will discuss this phase of the process in further detail later on. During this exclusivity or development phase you need to be concerned about a few things: Making sure that the process does not go on ad nauseum and making sure that you do not sign any of your rights to your intellectual property away permanently. Do no enter into any agreement with a publisher until you have something in writing saying that you will be paid for your idea in some manner and /or that the rights revert to you if no agreement has been reached after a set period of time. Be sure not to reneg your contractual obligations by shopping a prototype to Company B if it’s already in development with Company A, even if you’re not getting a good vibe from Company A. Either wait out the development period and see how it goes or build yourself an out in the contract if need be to have the rights revert to you if either party is feeling antsy about the situation. Just don’t go behind anyone’s back. Not only would you been in breech of contract, it would seriously damage your reputation in a very small industry – one where your name carries weight. At this point of the game, it’s all business. So put that hat firmly on your head and make sound business decisions as opposed to ones that you might make as a designer or sales person. Once you’ve negotiated the development timeline, if any, you need to sort out the good stuff. SHOW ME THE MONEY!